I am also a Research Affiliate of University of Iowa Electrical and Computer Engineering. Raytheon's email handling is in flux, so I cannot depend on this address. My blog, Jake Beal's Next Step, is where I post general thinking about my research, plus updates regarding publications and talks. Protelis: an aggregate programming language based on computational fields and embedded in Java. 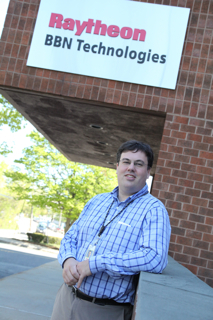 I am a Senior Scientist at BBN Technologies. I am also a research affiliate of the University of Iowa. Previously, I was also a research affiliate of MIT, where I did my graduate and postdoctoral work. The uniting theme of my research is "engineered self-organization," which is the production of predictable aggregate behavior from locally interacting elements. At present, my investigations are mainly in the domains of synthetic biology (the predictive engineering of desired behaviors in living cells), and aggregate and spatial computing (the description and control of systems of many weakly connected computing devices, and an extension of amorphous computing). Previous research subjects have included work on human-like intelligence and various learning and reasoning systems. At BBN, I am a member of the Distributed Systems group in the Intelligent Software & Systems business unit. At the University of Iowa, I collaborate with members of the Electrical and Computer Engineering department. I don't plan to post any significant amount of my non-professional life on this web page. Publications most likely to be of interest are marked with a . This is a fairly complete list, including early and obsolete work. A Higher-Order Calculus of Computational Fields, Giorgio Audrito, Mirko Viroli, Ferruccio Damiani, Danilo Pianini, and Jacob Beal. ACM Transactions on Computational Logic (TOCL), 20(1), Article 5, January 2019. Robust Stability of Spreading Blocks in Aggregate Programming, Yuanqiu Mo, Soura Dasgupta and Jacob Beal, IEEE Conference on Decision and Control (CDC), December 2018. Received Outstanding Student Paper Award. Small molecule-based regulation of gene expression for RNA-delivered circuits in mammalian cells, Tyler E Wagner, Jacob R Becraft, Katie Bodner, Brian Teague, Xin Zhang, Amanda Woo, Ely Porter, Bremy Alburquerque, Brian Dobosh, Oliwia Andries, Niek N Sanders, Jacob Beal, Douglas Densmore, Tasuku Kitada, and Ron Weiss. Nature Chemical Biology, 14 (11), pp. 1043?1050, November 2018. 2018 Semiconductor Synthetic Biology Roadmap, Victor Zhrinov, et al., Semiconductor Research Corporation, October, 2018. Formalizing Sample Transformation Plans, Daniel Bryce, Robert Goldman, Ugur Kuter, Alex Plotnick, Matt DeHaven, Chris Geib, Jake Beal, Nic Roehner and Bryan Bartley. AAAI Fall Symposium on AI for Synthetic Biology, October 2018. An Aggregate Computing Approach to Self-Stabilizing Leader Election, Yuanqiu Mo, Jake Beal and Soura Dasgupta. Workshop on Engineering Collective Adaptive Systems (eCAS), September 2018. Toward Programming 3D Shape Formation in Mammalian Cells, Jesse Tordoff, Jacob Beal, Ron Weiss, Bryan Bartley, Gizem Gumuskaya, Katherine Kiwimagi, Matej Krajnc, Kevin Lebo, Stanislav Shvartsman, Allen Tseng and Nicholas Walczak. 10th International Workshop on Bio-Design Automation (IWBDA), August 2018. The Synthetic Biology Open Language Supports Integration of the Engineering Life-Cycle for Synthetic Biologists, Bryan Bartley, Christian Atallah, Alasdair Humphries, Vishwesh Kulkarni, Curtis Madsen, Goksel Misirli, Angel Goni-Moreno, Tramy Nguyen, Ernst Oberortner, Nicholas Roehner, Meher Samineni, Zach Zundel, Jacob Beal, Chris Myers, Herbert Sauro, Anil Wipat. 10th International Workshop on Bio-Design Automation (IWBDA), August 2018. Specifying Combinatorial Designs with the Synthetic Biology Open Language, Nicholas Roehner, Bryan Bartley, Jacob Beal, James McLaughlin, Matthew Pocock, Michael Zhang, Zach Zundel, Chris Myers and Anil Wipat. 10th International Workshop on Bio-Design Automation (IWBDA), August 2018. Space-Time Universality of Field Calculus, Giorgio Audrito, Jacob Beal, Ferruccio Damiani, Mirko Viroli, International Conference on Coordination Languages and Models (COORDINATION '18), June 2018. From Field-Based Coordination to Aggregate Computing, Mirko Viroli, Jacob Beal, Ferruccio Damiani, Giorgio Audrito, Roberto Casadei, Danilo Pianini, International Conference on Coordination Languages and Models (COORDINATION '18), June 2018. XPlan: Experiment Planning for Synthetic Biology, Ugur Kuter, Robert P Goldman, Daniel Bryce, Jacob Beal, Matthew DeHaven, Christopher S. Geib, Alexander F. Plotnick, Tramy Nguyen, Nicholas Roehner. Hierarchical Planning, June 2018. Also published as: BioBricks Foundation Request for Comments (BBF RFC) #114. Also published as: BioBricks Foundation Request for Comments (BBF RFC) #115. Self-Adaptation to Device Distribution in the Internet of Things, Jacob Beal, Mirko Viroli, Danilo Pianini, and Ferruccio Damiani. ACM Transactions on Autonomous and Adaptive Systems, 12 (3), Article 12, September 2017. Error in Self-Stabilizing Spanning-Tree Estimation of Collective State Yuanqiu Mo, Jacob Beal, and Soura Dasgupta, Workshop on Engineering Collective Adaptive Systems (eCAS), September 2017. Towards a Foundational API for Resilient Distributed Systems Design Matteo Francia, Danilo Pianini, Jacob Beal, and Mirko Viroli, Workshop on Engineering Collective Adaptive Systems (eCAS), September 2017. A Visual Language for Protein Design, Robert Sidney Cox, James Alastair McLaughlin, Raik Grunberg, Jacob Beal, Anil Wipat, and Herbert M Sauro. ACS Synthetic Biology, August, 2017. Toward Quantitative Comparison of Fluorescent Protein Expression Levels via Fluorescent Beads, Jacob Beal, Nicholas DeLateur, Brian Teague, Ron Weiss, John Sexton, Sebastian Castillo-Hair, and Jeffrey J. Tabor. peer-reviewed abstract in 9th International Workshop on Bio-Design Automation, August 2017. Summary Report for the SemiSynBio Workshop on an EDA/BDA Interaction Roadmap, Jacob Beal and Brian Bramlett, Semiconductor Research Corporation, May 2017. Mathematical Foundations of Variation in Gene Expression, Jacob Beal, IET/SynBiCITE Engineering Biology Conference, December 2016. Self-adaptation to Device Distribution Changes in Situated Computing Systems Jacob Beal, Mirko Viroli, Danilo Pianini, and Ferruccio Damiani, IEEE International Conference on Self-Adaptive and Self-Organizing Systems (SASO), September 2016. Combining Self-Organisation and Autonomic Computing in CASs with Aggregate-MAPE Mirko Viroli, Antonio Bucchiarone, Danilo Pianini, and Jacob Beal, Workshop on Engineering Collective Adaptive Systems (eCAS), September 2016. Trading Accuracy for Speed in Approximate Consensus Jacob Beal, Knowledge Engineering Review: Special Issue on Spatial Computing, 31 (4), pp 325--342, September 2016. Design for Improved Repression in RNA Replicons, Jacob Beal and Ron Weiss, peer-reviewed abstract in 8th International Workshop on Bio-Design Automation, August 2016. Resiliency with Aggregate Computing: State of the Art and Roadmap Mirko Viroli and Jacob Beal, Workshop on FORmal methods for the quantitative Evaluation of Collective Adaptive SysTems (FORECAST), July 2016. Aggregate Programming: From Foundations to Applications, Jacob Beal and Mirko Viroli. chapter in "Formal Methods for the Quantitative Evaluation of Collective Adaptive Systems." ed. Marco Bernardo, Rocco De Nicola, and Jane Hillston, Springer International Publishing, pp 233-260, June 2016. Improving Synthetic Biology Communication: Recommended Practices for Visual Depiction and Digital Submission of Genetic Designs, Nathan J. Hillson, Hector A. Plahar, Jacob Beal, and Ranjini Prithviraj, ACS Synthetic Biology, 5 (6), pp 449--451, June 2016. Sharing Structure and Function in Biological Design with SBOL 2.0, Nicholas Roehner, Jacob Beal, Kevin Clancy, Bryan Bartley, Goksel Misirli, Raik Grunberg, Ernst Oberortner, Matthew Pocock, Michael Bissell, Curtis Madsen, Tramy Nguyen, Michael Zhang, Zhen Zhang, Zach Zundel, Douglas Densmore, John H. Gennari, Anil Wipat, Herbert M. Sauro, and Chris J. Myers, ACS Synthetic Biology, 5 (6), pp 498--506, June 2016. IWBDA 2015 (editorial) Jacob Beal, ACS Synthetic Biology, 5 (6), pp 443, June 2016. Opportunistic Sharing of Airborne Sensors Jacob Beal, Kyle Usbeck, Joseph Loyall, and James Metzler, International Conference on Distributed Computing in Sensor Systems (DCOSS), May, 2016.
libSBOLj 2.0: A Java Library to Support SBOL 2.0, Zhen Zhang, Tramy Nguyen, Nicholas Roehner, Goksel Misirli, Matthew Pocock, Ernst Oberortner, Meher Samineni, Zach Zundel, Jacob Beal, Kevin Clancy, Anil Wipat, and Chris Myers, IEEE Life Sciences Letters, 1 (4), pp 34--37, April 2016. Reproducibility of Fluorescent Expression from Engineered Biological Constructs in E. coli, Jacob Beal, Traci Haddock-Angelli, Markus Gershater, Kim de Mora, Meagan Lizarazo, Jim Hollenhorst, Randy Rettberg, with the iGEM Interlab Study Contributors, PLoS ONE 11(3): e0150182. doi:10.1371/journal.pone.0150182. March 2016. A Type-Sound Calculus of Computational Fields Ferruccio Damiani, Mirko Viroli, Jacob Beal, Science of Computer Programming, Volume 117, pp 17--44, doi:10.1016/j.scico.2015.11.005, February 2016. CIDAR MoClo: Improved MoClo Assembly Standard and New E. coli Part Library Enable Rapid Combinatorial Design for Synthetic and Traditional Biology, Sonya V. Iverson, Traci L. Haddock, Jacob Beal, and Douglas M. Densmore, ACS Synthetic Biology, 5 (1), pp 99-103, January 2016. SBOL Visual: Standard Schematics for Synthetic Genetic Constructs, Jacqueline Quinn, Robert Sidney Cox III, Aaron Adler, Jacob Beal, Swapnil Bhatia, Yizhi Cai, Joanna Chen, Kevin Clancy, Michal Galdzicki, Nathan J. Hillson, Nicolas Le Novere, Akshay J Maheshwari, James Alastair McLaughlin, Chris J. Myers, Umesh P, Matthew Pocock, Cesar Rodriguez, Larisa Soldatova, Guy-Bart V Stan, Neil Swainston, Anil Wipat, and Herbert M Sauro, PLoS Biology 13(12): e1002310. doi:10.1371/journal.pbio.1002310, December 2015. Toward Predicting Distributed Systems Dynamics, Amy Kumar, Jacob Beal, Soura Dasgupta, Raghuraman Mudumbai, Spatial and COllective PErvasive Computing Systems (SCOPES) workshop at IEEE SASO, September 2015. Design of Biological Circuits Using Signal-to-Noise Ratio, Jacob Beal, International Workshop on Bio-Design Automation (IWBDA), August 2015. I noticed that the BBF RFC copyright licensing in BBF RFC #0 needed an update, and this document enacts it. Formal Foundations of Sensor Network Applications, Jacob Beal and Mirko Viroli, SIGSPATIAL Special, Volume 7, Number 2, pp. 36 - 42, July 2015. 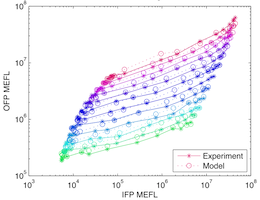 Superdiffusive Dispersion and Mixing of Swarms, Jacob Beal, ACM Transactions on Autonomous and Adaptive Systems, Volume 10, Issue 2, Article #10, June 2015. Code Mobility Meets Self-Organisation: a Higher-order Calculus of Computational Fields, Ferruccio Damiani, Mirko Viroli, Danilo Pianini, and Jacob Beal, Formal Techniques for Distributed Objects, Components, and Systems, pp. 113-128, June 2015. Bridging the Gap: A Roadmap to Breaking the Biological Design Barrier, Jacob Beal, Frontiers in Bioengineering and Biotechnology, 2:87. doi:10.3389/fbioe.2014.00087, January 2015. Model-Driven Engineering of Gene Expression from RNA Replicons, Jacob Beal, Tyler E. Wagner, Tasuku Kitada, Odisse Azizgolshani, Jordan Moberg Parker, Douglas Densmore, and Ron Weiss, ACS Synthetic Biology, dx.doi.org/10.1021/sb500173f, 4 (1), pp 48--56, January 2015 (supplementary information). Proposed Data Model for the Next Version of the Synthetic Biology Open Language, Nicholas Roehner, Ernst Oberortner, Matthew Pocock, Jacob Beal, Kevin Clancy, Curtis Madsen, Goksel Misirli, Anil Wipat, Herbert Sauro, and Chris J. Myers, ACS Synthetic Biology, dx.doi.org/10.1021/sb500176h, 4 (1), pp 57--71, January 2015. Managing Design Change with Functional Blueprints, Jacob Beal, Aaron Adler, Fusun Yaman, Jeffrey Cleveland, Hala Mostafa, Annan Mozeika, Kyle Usbeck, Gretchen Markiewicz, and Benjamin Axelrod, in "Through-life Engineering Services" ed. Louis Redding and Rajkumar Roy, Springer International Publishing, pp 269-284, doi: http://dx.doi.org/10.1007/978-3-319-12111-6_16, December 2014. Precision Design of Expression from RNA Replicons, Jacob Beal, Tyler E. Wagner, Tasuku Kitada, Andrey Krivoy, Odisse Azizgolshani, Jordan Moberg Parker, Douglas Densmore, and Ron Weiss, International Workshop on Bio-Design Automation (IWBDA), June 2014. The Synthetic Biology Open Language (SBOL) provides a community standard for communicating designs in synthetic biology, Michal Galdzicki, Kevin P Clancy, Ernst Oberortner, Matthew Pocock, Jacqueline Y Quinn, Cesar A Rodriguez, Nicholas Roehner, Mandy L Wilson, Laura Adam, J Christopher Anderson, Bryan A Bartley, Jacob Beal, Deepak Chandran, Joanna Chen, Douglas Densmore, Drew Endy, Raik Grunberg, Jennifer Hallinan, Nathan J Hillson, Jeffrey D Johnson, Allan Kuchinsky, Matthew Lux, Goksel Misirli, Jean Peccoud, Hector A Plahar, Evren Sirin, Guy-Bart Stan, Alan Villalobos, Anil Wipat, John H Gennari, Chris J Myers, and Herbert M Sauro, Nature Biotechnology, 32(6), June 2014. Towards a Unified Model of Spatial Computing, Jacob Beal, Mirko Viroli, and Ferruccio Damiani, 7th Spatial Computing Workshop (SCW'14), May 2014. On the Evaluation of Space-Time Functions, Jacob Beal, Kyle Usbeck, and Brett Benyo, The Computer Journal, December 2013. Functional synthesis of genetic regulatory networks, Jacob Beal and Aaron Adler, Workshop on Functional Programming Concepts in Domain-Specific Languages at 18th ACM SIGPLAN International Conference on Functional Programming (ICFP 2013), pp. 3-10, September 2013. QuaFL: A typed DSL for quantum programming, Andrei Lapets, Marcus Da Silva, Michael Thome, Aaron Adler, Jacob Beal, and Martin Roetteler, Workshop on Functional Programming Concepts in Domain-Specific Languages at 18th ACM SIGPLAN International Conference on Functional Programming (ICFP 2013), pp. 19-26, September 2013. Superdiffusive Dispersion and Mixing of Swarms with Reactive Levy Walks, Jacob Beal, IEEE SASO, September 2013. WebProto: Aggregate Programming for Everyone, Kyle Usbeck and Jacob Beal, demonstration abstract, IEEE SASO, September 2013. Spatial Computing Meets Realistic Mobile Wireless Problems, Bernat Wiandt, Vilmos Simon, Andras Kokuti, and Jacob Beal, demonstration abstract, IEEE SASO, September 2013. Foundations of Coordination Languages and Self Adaptive Systems (FOCLASA'13), September 2013. Precise Mass-Market Energy Demand Management Through Stochastic Distributed Computing, Alex Papalexopoulos, Jacob Beal, and Steven Florek, IEEE Transactions on Smart Grid, online publication August 2013. A Morphogenetically Assisted Design Variation Tool, Aaron Adler, Fusun Yaman, Jacob Beal, Jeffrey Cleveland, Hala Mostafa, and Annan Mozeika, AAAI, July 2013. How can AI help Synthetic Biology?, Fusun Yaman, Aaron Adler, and Jacob Beal, abstract for senior member talk, AAAI, July 2013. Synthetic Biology Open Language Visual: an ontological use case, Jacqueline Quinn, Michal Galdzicki, Robert Sidney Cox III, Jacob Beal, Kevin Clancy, Nathan Hillson, and Larisa Soldatova, extended abstract at Bio-Ontologies, July 2013. Accurate Predictions of Genetic Circuit Behavior from Part Characterization and Modular Composition, Noah Davidsohn, Jacob Beal, Aaron Adler, Fusun Yaman, Yinqing Li, Zhen Xie, and Ron Weiss, peer-reviewed abstract in 5th International Workshop on Bio-Design Automation, July 2013. Online Tools for Characterization, Design, and Debugging, Aaron Adler, Fusun Yaman, and Jacob Beal, peer-reviewed abstract in 5th International Workshop on Bio-Design Automation, July 2013. Synthetic Biology Open Language Visual: An Open-Source Graphical Notation for Synthetic Biology, Jacqueline Quinn, Jacob Beal, Swapnil Bhatia, Patrick Cai, Joanna Chen, Kevin Clancy, Robert Sidney Cox III, Michal Galdzicki, Nathan Hillson, Akshay Maheshwari, Chris Myers, Umesh P, Matthew Pocock, Cesar Rodriguez, Herbert M Sauro, Larisa Soldatova, Guy-Bart Stan, Mandy Wilson, and Drew Endy, peer-reviewed abstract in 5th International Workshop on Bio-Design Automation, July 2013. Recent Advances in the Synthetic Biology Open Language, Michal Galdzicki, Ernst Oberortner, Matthew Pocock, Jacqueline Quinn, Mandy Wilson, Evan Appleton, Bryan Bartley, Jacob Beal, Swapnil Bhatia, Robert Cox, Raik Gruunberg, Goksel Misirli, Hector Plahar, Nicholas Roehner, Larisa Soldotova, Guy-Bart Stan, Doug Densmore, Chris J. Myers, Herbert Sauro, and Anil Wipat, peer-reviewed abstract in 5th International Workshop on Bio-Design Automation, July 2013. Mixed Geometric-Topological Representation for Electromechanical Design, Jacob Beal, Aaron Adler, and Hala Mostafa, GECCO 2013, July 2013. Better Living Through Manifold Geometry, Jacob Beal, Stefan Dulman, Olivier Michel, and Antoine Spicher, editorial introduction to Special Issue on Spatial Computing, The Computer Journal, online publication December 2012. Organizing the Aggregate: Languages for Spatial Computing, Jacob Beal, Stefan Dulman, Kyle Usbeck, Mirko Viroli, and Nikolaus Correll, chapter in "Formal and Practical Aspects of Domain-Specific Languages: Recent Developments", ed. Marjan Mernik, IGI Global, December 2012. Preprint available on arXiv, CoRR, abs/1202.5509v2, April 2012. A Tactical Command Approach to Human Control of Vehicle Swarms, Jacob Beal, AAAI 2012 Fall Symposium "Human Control of Bio-Inspired Swarms," November, 2012. Synthetic Biology Open Language (SBOL) Version 1.1.0, Michal Galdzicki, Mandy Wilson, Cesar A. Rodriguez, Matthew R. Pocock, Ernst Oberortner, Laura Adam, Aaron Adler, J. Christopher Anderson, Jacob Beal, Yizhi Cai, Deepak Chandran, Douglas Densmore, Omri A. Drory, Drew Endy, John H. Gennari, Raik Grunberg, Timothy S. Ham, Nathan J. Hillson, Jeffrey D. Johnson, Allan Kuchinsky, Matthew W. Lux, Curtis Madsen, Goksel Misirli, Chris J. Myers, Carlos Olguin, Jean Peccoud, Hector Plahar, Darren Platt, Nicholas Roehner, Evren Sirin, Trevor F. Smith, Guy-Bart Stan, Alan Villabos, Anil Wipat, and Herbert M. Sauro, BioBricks Foundation Request for Comments (BBF RFC) #87, October 2012. Prior version: SBOL Version 1.0.0, BBF RFC #84, October 2011. Fast Precise Distributed Control for Energy Demand Management, Jacob Beal, Jeff Berliner, and Kevin Hunter, IEEE SASO 2012, September 2012. A Manifold Operator Representation for Adaptive Design, Jacob Beal, Hala Mostafa, Benjamin Axelrod, Annan Mozeika, Aaron Adler, Gretchen Markiewicz, and Kyle Usbeck, GECCO 2012, July 2012. Linda in Space-Time: An Adaptive Coordination Model for Mobile Ad-Hoc Environments, Mirko Viroli, Danilo Pianini, and Jacob Beal, Coordination 2012, June 2012. Lightweight Simulation Scripting with Proto, Jacob Beal, Kyle Usbeck and Brian Krisler, 5th Spatial Computing Workshop (SCW'12) at AAMAS 2012, June 2012. Kyle's talk is available here. Results from TASBE, Jacob Beal, Ron Weiss, Douglas Densmore, Aaron Adler, Evan Appleton, Jonathan Babb, Swapnil Bhatia, Noah Davidsohn, Traci Haddock, Joseph Loyall, Richard Schantz, Viktor Vasilev, and Fusun Yaman, peer-reviewed abstract in 4th International Workshop on Bio-Design Automation, June 2012. Toward Automated Design of Cell State Detectors, Jacob Beal and Fusun Yaman, peer-reviewed abstract in 4th International Workshop on Bio-Design Automation, June 2012. A Method for Fast, High-Precision Characterization of Synthetic Biology Devices, Jacob Beal, Ron Weiss, Fusun Yaman, Noah Davidsohn, and Aaron Adler, MIT CSAIL Tech Report 2012-008, April, 2012. Cross Domain Identity Management and Entitlement, Michael Atighetchi, Jonathan Webb, Jacob Beal, Brian Krisler, and Michael Mayhew, Military Communications Conference (MILCOM), November 2011. An Agent Framework for Agent Societies, Kyle Usbeck and Jacob Beal, Actors and Agents Reloaded (AGERE) workshop at SPLASH 2011, October 2011. On the Evaluation of Space-Time Functions, Jacob Beal and Kyle Usbeck, 4th Spatial Computing Workshop (SCW'11) at IEEE SASO 2011, October 2011. Using Morphogenetic Models to Develop Spatial Structures, Jacob Beal, Jessica Lowell, Annan Mozeika, and Kyle Usbeck, 4th Spatial Computing Workshop (SCW'11) at IEEE SASO 2011, October 2011. Morphogenetically Assisted Design Variation, Aaron Adler, Fusun Yaman, Jeffrey Cleveland, and Jacob Beal, 2nd International Conference on Morphological Computation, September 2011. Bridging Biology and Engineering Together with Spatial Computing, Jacob Beal, extended abstract for 12th International Conference on Membrane Computing, August 2011. Automatic Compilation from High-Level Biologically-Oriented Programming Language to Genetic Regulatory Networks, Jacob Beal, Ting Lu, Ron Weiss, PLoS ONE 6(8): e22490. doi:10.1371/journal.pone.0022490, August 2011. Functional Blueprints: An Approach to Modularity in Grown Systems, Jacob Beal, Swarm Intelligence Journal, 5(3-4), p257-281, June 2011 (preprint, supplementary information). A book chapter version also appears in the book "Morphogenetic Engineering: Toward Programmable Complex Systems", edited by Rene Doursat, Hiroki Sayama, and Olivier Michel, Springer, December 2012. Prior conference version in 7th International Conference on Swarm Intelligence (ANTS 2010), September 2010. High-Level Programming Languages for Bio-Molecular Systems, Jacob Beal, Andrew Phillips, Douglas Densmore, Yizhi Cai, chapter in "Design and Analysis of Bio-Molecular Circuits", edited by Heinz Koeppl, Douglas Densmore, Mario di Bernardo, Gianluca Setti, Springer, 2011 (preprint). TASBE: A Tool-Chain to Accelerate Synthetic Biological Engineering, Jacob Beal, Ron Weiss, Douglas Densmore, Aaron Adler, Jonathan Babb, Swapnil Bhatia, Noah Davidsohn, Traci Haddock, Fusun Yaman, Richard Schantz, Joseph Loyall, peer-reviewed abstract in 3rd International Workshop on Bio-Design Automation, June 2011. Toward Automated Selection of Parts for Genetic Regulatory Networks, Fusun Yaman, Swapnil Bhatia, Aaron Adler, Douglas Densmore, Jacob Beal, Ron Weiss, and Noah Davidsohn, peer-reviewed abstract in 3rd International Workshop on Bio-Design Automation, June 2011. A Software Stack for Specification and Robotic Execution of Protocols for Synthetic Biological Engineering, Viktor Vasilev, Chenkai Liu, Traci Haddock, Swapnil Bhatia, Aaron Adler, Fusun Yaman, Jacob Beal, Jonathan Babb, Ron Weiss, and Douglas Densmore, peer-reviewed abstract in 3rd International Workshop on Bio-Design Automation, June 2011. Core Operational Semanics of Proto, Mirko Viroli, Jacob Beal, and Matteo Casadei, ACM Symposium on Applied Computing 2011, March 2011. A Spatial Computing Approach to Distributed Algorithms, Jacob Beal and Richard Schantz, 44th Asilomar Conference on Signals, Systems, and Computers, November 2010. Adjustable Autonomy for Cross-Domain Entitlement Decisions, Jacob Beal, Jonathan Webb, and Michael Atighetchi, 3rd ACM workshop on Artificial Intelligence and Security (AISec), October 2010. Distributed Control for Small Customer Energy Demand Management, Vinayak V. Ranade, and Jacob Beal, IEEE SASO 2010, September 2010. A Basis Set of Operators for Space-Time Computations, Jacob Beal, 3rd Spatial Computing Workshop, September 2010. Composable Continuous Space Programs for Robotic Swarms, Jonathan Bachrach, Jacob Beal, and James McLurkin, Neural Computing and Applications, Special Issue on Swarms, Volume 19, Issue 6 (2010), pages 825-847. Spectrum Curricula: Design and Initial Results, Jacob Beal, Alice Leung, and Robert Laddaga, Learning By Demonstration section of 2010 AAAI Robotics Exhibition, July 2010. Spectrum Curricula for Measuring Teachability, Jacob Beal, Alice Leung, and Robert Laddaga, Workshop on Agents Learning Interactively from Human Teachers, at AAMAS 2010, May 2010. Laplacian-Based Consensus on Spatial Computers, Nelson Elhage and Jacob Beal, 9th International Conference on Autonomous Agents and Multiagent Systems (AAMAS 2010), May 2010. Reaction Factoring and Bipartite Update Graphs Accelerate the Gillespie Algorithm for Large-Scale Biochemical Systems Sagar Indurkhya and Jacob Beal, in PLoS ONE 5(1): e8125. doi:10.1371/journal.pone.0008125, January 2010. Dynamically Defined Processes for Spatial Computers, Jacob Beal, Spatial Computing Workshop 2009, September 2009. Enhancing Methodological Rigor for Computational Cognitive Science: Complexity Analysis Jacob Beal and Jennifer Roberts, Cognitive Science Conference, July 2009. Enhancing Methodological Rigor for Computational Cognitive Science: Core Tenets and Ad Hoc Residuals Jennifer Roberts and Jacob Beal, Cognitive Science Conference, July 2009. Self-Managing Associative Memory for Dynamic Acquisition of Expertise in High-Level Domains, Jacob Beal, IJCAI 2009, July 2009. Programming Manifolds, Jacob Beal and Jonathan Bachrach, Dagstuhl Seminar 06361: Computing Media and Languages for Space-Oriented Computation, Andre DeHon, Jean-Louis Giavitto, and Frederic Gruau eds, December, 2006. Updated version published as MIT CSAIL Tech Report 2009-023, June, 2009. Research Challenges in Information Systems for the Next Generation Electric Grid, Richard Schantz, Jacob Beal, Joseph Loyall, Partha Pal, Kurt Rohloff, and Azer Bestavros, NITRD Workshop on New Research Directions for Future Cyber-Physical Energy Systems, June 2009. Fast Self-Stabilization for Gradients, Jacob Beal, Jonathan Bachrach, Dan Vickery, and Mark Tobenkin, IEEE DCOSS 2009, June 2009. An extension and discrete-network proof tightening the bounds from our previous Constraint and Restoring Force gradient paper. Behavior Modes for Randomized Robotic Coverage, Jacob Beal, Nikolaus Correll, Leonardo Urbina, and Jonathan Bachrach, Second International Conference on Robot Communication and Coordination, April 2009. Curricula and Metrics to Investigate Human-Like Learning Jacob Beal, Paul Robertson, and Robert Laddaga, AAAI 2009 Spring Symposium "Agents that Learn from Human Teachers", March, 2009. Amorphous Computing, Hal Abelson, Jacob Beal, and Gerald Jay Sussman, article in "Encyclopedia of Complexity and System Science" Springer-Verlag, March 2009. Flexible Self-Healing Gradients, Jacob Beal, ACM Symposium on Applied Computing 2009, March 2009. Engineered Robustness by Controlled Hallucination, Jacob Beal and Gerald Jay Sussman, AAAI 2008 Fall Symposium "Naturally-Inspired Artificial Intelligence", November 2008. Cells Are Plausible Targets for High-Level Spatial Languages, Jacob Beal and Jonathan Bachrach, Spatial Computing Workshop, October 2008. Empirical Characterization of Discretization Error in Gradient-based Algorithms, Jonathan Bachrach, Jacob Beal, Joshua Horowitz, and Dany Qumsiyeh, IEEE SASO 2008, October 2008. Cognitive Security for Personal Devices, Rachel Greenstadt and Jacob Beal, First ACM workshop on AISec, October 2008. This is a position paper on attaining more human-like security by having a device imprint on a broad-spectrum collection of passively available biometrics. A prior version was published as MIT CSAIL Tech Report 2008-016, in March 2008. PACEM: Cooperative Control for Citywide Energy Management, Jacob Beal and Hal Abelson, whitepaper, August 2008. Analyzing Composability in a Sparse Encoding Model of Memorization and Association, Jacob Beal and Thomas F. Knight, Jr, IEEE 7th International Conference on Development and Learning (ICDL 2008), August 2008. Learning Composable Signals for a Cognitive Substrate, Jacob Beal, Cognitive Science Conference, July 2008. Autonomy in Spatial Computing, Jonathan Bachrach and Jacob Beal, Third Workshop on Hot Topics in Autonomic Computing, June 2008. Shared Focus of Attention for Heterogeneous Agents, Jacob Beal, Short Paper, 7th International Conference on Autonomous Agents and Multiagent Systems (AAMAS 2008), May 2008. Fast Self-Healing Gradients, Jacob Beal, Jonathan Bachrach, Dan Vickery, and Mark Tobenkin, ACM Symposium on Applied Computing 2008, March 2008. Learning by Learning to Communicate, Jacob Beal, PhD Thesis, August 2007. Constraint and Restoring Force, Jacob Beal, Jonathan Bachrach, and Mark Tobenkin, MIT CSAIL Tech Report 2007-044, August 2007. Continuous Space-Time Semantics Allow Adaptive Program Execution, Jonathan Bachrach, Jacob Beal, and Takeshi Fujiwara. IEEE SASO 2007, July 2007. Developmental Cost for Models of Intelligence, Jacob Beal, AAAI 2007 Workshop on Evaluating Architectures for Intelligence, July 2007. Building Spatial Computers, Jonathan Bachrach and Jacob Beal, MIT CSAIL Tech Report 2007-017, March 2007. Sidestepping Impossibility: Combat Consensus in the Assassins' Guild., Jacob Beal, MIT CSAIL Student Workshop 2006, September 2006. Followup to the first Assassins' Guild paper, this one examines carefully how combat consensus gets around an impossibility result. The deeper I look at how live action roleplaying runs distributed simulations, the more surprises I find. I think there's something here for computer scientists to pay attention to. Programming a Sensor Network as an Amorphous Medium, Jonathan Bachrach and Jacob Beal, extended abstract for poster at IEEE DCOSS 2006, June 2006. Infrastructure for Engineered Emergence on Sensor/Actuator Networks, Jacob Beal and Jonathan Bachrach, IEEE Intelligent Systems, (Vol. 21, No. 2) pp. 10-19, March/April 2006. Preprint version of the article and sidebar. CogSci to AI: It's the Brainware, Stupid!, Jacob Beal and Gerald Jay Sussman, AAAI 2006 Spring Symposium "Between a Rock and a Hard Place: Cognitive Science Principles Meet AI-Hard Problems", Stanford, March 2006. Amorphous Medium Language, Jacob Beal, Large-Scale Multi-Agent Systems Workshop at AAMAS 2005, July 2005. Learning From Snapshot Examples, Jacob Beal, MIT AI Memo 2005-012, April 2005. The ideas in this memo need more contextualizion w.r.t. other machine learning work. As it stands, it documents an abstraction barrier and learning heuristic I needed and was unable to find elsewhere. Obsoleted by the IIES mechanism in my PhD thesis. Shrinking the Leap of Faith, Jacob Beal and Tim Shepard, unpublished draft, March 2005. This sketches some ideas about exploiting the locality of wireless connections to make it easier to establish trust with distant servers on the Internet. Biologically-Inspired Robust Spatial Programming, Jacob Beal and Gerald Sussman, MIT AI Memo 2005-001, January 2005. Programming an Amorphous Computational Medium, Jacob Beal, in Unconventional Programming Paradigms International Workshop, September 2004. Updated version in LNCS Vol. 3566, August 2005. Deamplification of DoS Attacks via Puzzles, Jacob Beal and Tim Shepard, unpublished draft, October 2004. Tim was trying to figure out whether the puzzles in the IETF's proposed Host Identity Protocol were actually a useful defense against an attacker with a large network of hijacked computers. We found out that it is. Predictive Modelling for Fisheries Management in the Colombian Amazon, Jacob Beal and Sara Bennett, International Conference on Complex Systems (ICCS) 2004, June 2004. RamboNodes for the Metropolitan Ad Hoc Network, Jacob Beal and Seth Gilbert, MIT AI Memo 2003-027. A tightened version was published in Workshop on Dependability in Wireless Ad Hoc Networks and Sensor Networks, part of the International Conference on Dependable Systems and Networks, June 2004. Leveraging Language into Learning, PhD Proposal, February 2004. Near-Optimal Distributed Failure Circumscription, Jacob Beal, AI Memo 2003-017, August 2003. 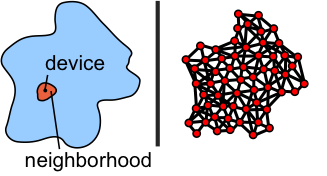 A Robust Amorphous Hierarchy from Persistent Nodes, Jacob Beal, AI Memo 2003-012, May 2003. Persistent Nodes for Reliable Memory in Geographically Local Networks, Jacob Beal, AI Memo 2003-011, April 2003. Leaderless Distributed Hierarchy Formation, Jacob Beal, AI Memo 2002-021, December 2002. This didn't work as well as I wanted, and led me to start working with Persistent Nodes for hierarchy formation instead. Amorphous Infrastructure for Language Implementation, Ryan Newton and Jacob Beal, MIT CSAIL Tech Report 2006-015, December 2002. Written as a project in an Amorphous Computing seminar, this work was the origin of the Persistent Node algorithm. We made an official recording of it in 2006 to make referencing easier. An Algorithm for Bootstrapping Communications, Jacob Beal, International Conference on Complex Systems (ICCS), June 2002. A longer version appears as AI Memo 2001-016, August 2001. Generating Communications Systems Through Shared Context, Jacob Beal, Master's Thesis, AI Tech Report 2002-002, January 2002. The Development of a Small Autonomous Helicopter Robot for Search and Rescue in Hostile Environments, Jacob Beal, Carl Blaurock, Keith Bonawitz, Kyrilian Dyer, Paul Elliott, Paul Eremenko, Eric Feron, Emilio Frazzoli, Benjamin Ingram, Michael Lester, Manway Liu, Stefan Marti, Joshua Napoli, Kailas Narendran, and Scott Rasmussen, Proceedings of the AUVSI Annual Symposium, July, 1999. I have, at this point, given a number of different tutorials and survey talks, of varying different lengths and focus. Many of the spatial computing talks break to demonstration in Proto partway through, using a sequence of examples. This collection of demonstration code may be used to execute the examples. Plenary talk at 10th International Conference on Swarm Intelligence, September 2016. Seminar at University of Iowa, December 2015. Dagstuhl Seminar Talk, October 2015. Invited Talk at QA4SASO Workshop, September 2015. Metrology and Predictive Design for Synthetic Biology (PowerPoint with Animations), updated November 2013. Invited talk at Washington State University, January 2013, reprised in several other locations. Invited talk at University of Iowa, February 2012. Spatial Computing: From Manifold Geometry to Biology; associated demonstration file. Presented at Third French Complex Systems Summer School, August 2009. 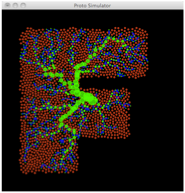 Spatial Computing for Swarms; associated demonstration file. Presentation locations include IEEE SASO 2009 and RoboComm 2009. Pervasive Computing Focused: Spatial Approaches to Pervasive Computing; associated demonstration file. Presented with Marco Mamei and Christian Borcea at IEEE SASO 2008; proto-specific portions begin on page 110. Collaborative Networks Focused: Spatial Computing for Networked Collaboration; associated demonstration file. The reader is advised that most spatial computing talks also involve a live demo that is usually at least indicated in the slides. Superdiffusive Dispersion and Mixing of Swarms with Reactive Levy Walks, presented at IEEE SASO, September 2013. The Importance of Asymmetry for Rapidly Reaching Consensus, presented at Socio-Technical Systems Workshop at IEEE SASO, September 2013. Accurate Predictions of Genetic Circuit Behavior from Part Characterization and Modular Composition, presented at 5th International Workshop on Bio-Design Automation, July 2013. Accelerating Approximate Consensus with Self-Organizing Overlays, presented at 6th Spatial Computing Workshop, May 2013. SBOL in Action: The BBN BioCompiler, presented at SBOL Workshop, April 2013. From Spatial Computing to Tactical Command of Swarms, presented at AAAI 2012 Fall Symposium "Human Control of Bio-Inspired Swarms," November, 2012. Code for associated live Proto demonstration. From Inspiration to Quantification, presented for IEEE SASO 2012 panel on New Research Directions, September 2012 (pdf). Fast Precise Distributed Control for Energy Demand Management, presented at IEEE SASO 2012, September 2012. A Dimensionless Graceful Degradation Metric for Quantifying Resilience, presented at Workshop on Evaluation of Self-Adaptive and Self-Organizing Systems, IEEE SASO, September, 2012. Organizing the Aggregate: Languages for Spatial Computing, presented at 5th Spatial Computing Workshop (SCW'12) at AAMAS 2012, June 2012. Problems of First-Class Functions over Space-Time, presented at New England Programming Language and Systems Symposium, June 2012. OpenOffice version with animations. Automated Design of Synthetic Biology Feedback Circuits, presented at 2012 Institute of Biological Engineering Conference, March 2012. The abstract associated with the talk. On the Evaluation of Space-Time Functions, presented at 4th Spatial Computing Workshop (SCW'11) at IEEE SASO 2011, October 2011. Toward Breaking the Complexity Barrier for Synthetic Biology Therapeutics, presented at IEEE Engineering in Medicine and Biology, August 2011. Morphogenesis as a Reference Architecture for Engineered Systems, presented at 3rd International Workshop on Morphogenetic Engineering, August 2011. The two-page abstract associated with the talk. TASBE: A Tool-Chain to Accelerate Synthetic Biological Engineering, presented at 3rd International Workshop on Bio-Design Automation, June 2011. Core Operational Semanics of Proto, presented at ACM Symposium on Applied Computing 2011, March 2011. High-Level Languages for Synthetic Biology, presented at MIT Synthetic Biology Lunch seminar series, November 2010. Spatial Computing, Synthetic Biology, and Emerging IP Challenges, presented at Creative Commons, November 2010. A Spatial Computing Approach to Distributed Algorithms, presented at 44th Asilomar Conference on Signals, Systems, and Computers, November 2010. PACEM: The Colored Power Approach to Energy Demand Management, presented at MIT Energy Initiative Fall 2010 Conference, October 2010. Adjustable Autonomy for Cross-Domain Entitlement Decisions, presented at 3rd ACM workshop on Artificial Intelligence and Security (AISec), October 2010. A Basis Set of Operators for Space-Time Computations, presented at 3rd Spatial Computing Workshop, September 2010. Functional Blueprints: An Approach to Modularity in Grown Systems, presented at 7th International Conference on Swarm Intelligence (ANTS 2010), September 2010. Automatic Compilation from High-Level Languages to Genetic Regulatory Networks, presented at 2nd International Workshop on Bio-Design Automation, June 2010. The two-page abstract associated with the talk. A prior version was presented at the 2010 Institute of Biological Engineering Conference. Laplacian-Based Consensus on Spatial Computers, presented at 9th International Conference on Autonomous Agents and Multiagent Systems (AAMAS 2010), May 2010. Spectrum Curricula for Measuring Teachability, presented at Workshop on Agents Learning Interactively from Human Teachers, at AAMAS 2010, May 2010. A smaller, updated version of this talk was presented at the Robotics Exhibition Workshop at AAAI 2010 in July 2010. Dynamically Defined Processes for Spatial Computers, presented at Spatial Computing Workshop 2009, September, 2009. Enhancing Methodological Rigor for Computational Cognitive Science: Complexity Analysis, presented at Cognitive Science Conference, July 2009. Self-Managing Associative Memory for Dynamic Acquisition of Expertise in High-Level Domains, presented at IJCAI 2009, July 2009. Functional blueprints: a means of adaptive integration?, presented at First International Workshop on Morphogenetic Engineering, June 2009. The one-page abstract associated with the talk. Behavior Modes for Randomized Robotic Coverage, presented at Second International Conference on Robot Communication and Coordination, April, 2009. Flexible Self-Healing Gradients, presented at ACM Symposium on Applied Computing 2009, March 2009. Curricula and Metrics to Investigate Human-Like Learning, presented at AAAI 2009 Spring Symposium "Agents that Learn from Human Teachers", March, 2009. Empirical Characterization of Discretization Error in Gradient-based Algorithms, presented at IEEE SASO 2008, October 2008. Grand Challenge: Spatial Computing, presented for IEEE SASO 2008 panel on Grand Challenges, October 2008. Cells Are Plausible Targets for High-Level Spatial Languages, presented at Spatial Computing Workshop, October 2008. Also presented at 2009 Institute of Biological Engineering Conference. Spatial Computing and the Challenge of Engineered Emergence, presented at Harvard CRCS Privacy and Security Lunch Seminar, April 2008. A shorter, related talk, Autonomy in Spatial Computing was presented at the Third Workshop on Hot Topics in Autonomic Computing, June 2008. Fast Self-Healing Gradients, presented at ACM SAC 2008, March 2008. Associated paper won the Best Paper Award (Artificial Intelligence & Agents Theme). Programming Cell Aggregates, presented to the MIT Synthetic Biology Lunch, January 2008. Learning by Learning to Communicate, PhD Thesis Defense, MIT CSAIL, August, 2007. Material after page 43 is supplementary slides that were not used in the talk, but could be brought up to help respond to questions. Developmentally Inspired Cognitive Architectures, presented at AAAI 2007 Workshop on Evaluating Architectures for Intelligence, July 2007. Continuous Time Programming, presented at IEEE SASO 2007, July 2007. A Brief History of Amorphous Computing, internal presentation, April 2007. An informal talk explaining how my work fits into the larger context of amorphous computing. Take the categories with a grain of salt. Principles for Engineered Emergence, presented at Unconventional Computation: Quo Vadis?, March 2007. (Published as a CSAIL Work Product). Programming Spatial Computers, internal presentation, September 2006. A 5-minute summary of what the Amorphous Medium approach is all about, for new students at CSAIL. Programming Manifolds, presented at Dagstuhl Seminar 06361, "Computing Media and Languages for Space-Oriented Computation," Germany, September 2006. An expansion and update on the continuous semantics of Proto. Sidestepping Impossibility: Combat Consensus in the Assassins' Guild., presented at MIT CSAIL Student Workshop 2006, September 2006. See note above on the associated publication. What the Assassins' Guild Taught Me About Distributed Computing, presented at International Conference on Complex Systems (ICCS) 2006, June 2006. CogSci to AI: It's the Brainware, Stupid!, presented at AAAI 2006 Spring Symposium "Between a Rock and a Hard Place: Cognitive Science Principles Meet AI-Hard Problems", Stanford, March 2006. Integration by Coincidence: Status and Speculation, presented at MIT Biologically Inspired Cognitive Architectures (BICA) workshop, January 2006. Continuous Semantics of Proto, internal presentation, January 2006. Implementing Valiant's Neuro-Logic, internal presentation, December 2005. Amorphous Medium Language, presented at the Large-Scale Multi-Agent Systems (LSMAS) Workshop in AAMAS-05, Netherlands, July 2005. Contains a good overview of AML abstraction layers, execution model, and language concepts. Leveraging Language into Learning, presented at AAAI 2005 Doctoral Consortium, Pittsburgh, July 2005. Amorphous Computing's Programming Languages, internal presentation, April 2005. Learning from Snapshot Examples, presented in CSAIL Student Seminar, MIT, April 2005. Programming an Amorphous Medium, invited talk at Unconventional Programming Paradigms workshop, France, September 2004. Generating Communication Systems Through Shared Context, MIT RQE presentation, Spring 2004. Analyzing Failures as Noise Presented with Seth Gilbert at LIDS Student Conference 2004, MIT, January 2004. Near-Optimal Distributed Failure Circumscription, presented at PDCS 2003, Los Angeles, November 2003. Note: this section is usually years out of date. Steering Committee of IEEE SASO, 2013 - present. Organizer, Engineered Self-Organization Seminar Series, 2008 - present at BBN Technologies. Tutorials Chair, IEEE International Conference on Self-adaptive and Self-Organizing Systems (SASO) 2013, September 2013. Previously Program Co-Chair for SASO 2011, Workshop Chair for SASO 2010 and Poster Chair for SASO 2009. Guest Editor, Special Issue on Spatial Computing, The Computer Journal, published mid-2013. Organizer, Spatial Computing Workshop 2012 at AAMAS 2012. Also organized the 2011, 2010, 2009 and 2008 workshops at IEEE SASO. Organizer, Workshop on Complex Sciences in the Engineering of Computing Systems at 25th International Conference on Architecture of Computing Systems, February 2012. Publications Chair, 3rd International Workshop on Bio-Design Automation (IWBDA), June 2011. Guest Editor, Special Issue on Spatial Computing, ACM Transactions on Autonomous and Adaptive Systems, published in two issues: June and September 2011. Guest Editor, Special Issue on Human-Level Intelligence, IEEE Intelligent Systems, July 2009. Organizer, Naturally-Inspired Artificial Intelligence symposium, in AAAI 2008 Fall Symposium Series, November 2008. Organizer, Seminar on Dangerous Ideas, MIT CSAIL seminar series, Fall 2001 to Spring 2004. Organizer, Genesis Group internal workshop, Fall 2003. In addition, I am serving / have recently served on numerous program committees, and as a reviewer for a number of journals and granting agencies. Details are in my CV. A Foundational Library for Aggregate Programming Matteo Francia, M.S. Thesis, Universita Bologna, March 2017. Reliable Gene Expression and Assembly for Synthetic Biological Devices in E. Coli Through Customized Promoter Insulator Elements and Automated DNA Assembly, Swati Banerjee Carr, Ph.D. Thesis, Boston University, July, 2016. Foundational Platform for Mammalian Synthetic Biology, Noah Davidsohn, Ph.D. Thesis, MIT, January, 2013. Model and Control for Cooperative Energy Management, Vinayak V. Ranade, M.Eng. Thesis, MIT, June 2010. A Distributed Building Evacuation System, Dany M. Qumsiyeh, M.Eng. Thesis, MIT, June 2008. How do we know when we're winning? Thoughts on AI research methodology presented during the Genesis Group's internal workshop in 2003. Definitive Guide to Writing Guild Games for the Rest of Eternity, Jacob Beal and Joe Foley, in The Mechanicomicon Project, version 96, June 2010 (original publication in 2000). Not actually scientific writing at all, but an enjoyable (to me) rant on the writing of live action roleplaying games in the exceding particular culture of the MIT Assassin's Guild, written in the style of an extended flame back when I had just finished my undergraduate and updated a couple of times since. Mature content advisory.